The controversy around Quantstamp, maker of a protocol that seeks to decentralize smart contracts auditing, reached a fever pitch late last week, with acrimony spilling into the project’s social channels. There, representatives for the San Francisco-based company, registered in Delaware, took heated questions from token buyers. At issue is Quantstamp’s acceptance of U.S. dollars and ether, rather than its token, QSP – which it used to raise a little over $30 million in an initial coin offering (ICO) last November – as payment for smart contract audits it has performed. But Friday’s discussion showcases that token owners are beginning to question the degree to which both QSP and the company’s own technology have been involved in the 484 audits Quantstamp claims to have completed, according to its website. “We are concerned that you guys don’t need the token to grow in value for your company to succeed as a payment for manual audits,” James Chun wrote in the Quantstamp project’s Telegram group on June 10. Compounding the issue for these users is that the company wouldn’t say how frequently it has accepted payment in a currency other than QSP. In a statement to CoinDesk, Quantstamp said, “from the start we’ve been following the roadmap put forth in our initial white paper.” The company declined to answer numerous other questions on the record. Stepping back, however, it’s worth noting that in spite of user complaints there remains a real need for the kind of project envisioned by Quantstamp. Founded by Richard Ma and Steven Stewart, both software engineers, Quantstamp cited in its white paper attacks on smart contracts in which hackers were able to steal millions as the motivation for starting the effort and raising funds. 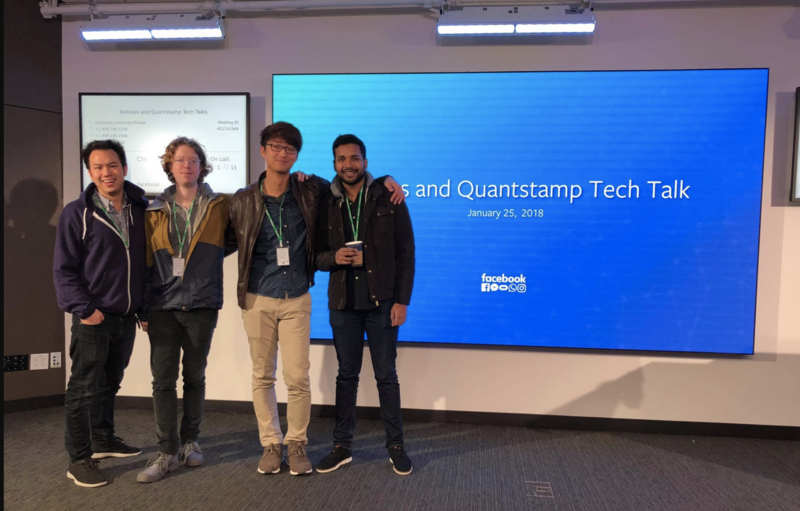 Underscoring the idea’s appeal, last November, Quantstamp announced its participation in the Y Combinator class of 2018, a prestigious accelerator program which provides startups with seed funding. But, an open question token buyers now seem to be raising is whether the company’s decisions are economically aligned with their interests as well as the project’s original design. This may be contributing to impressions held by users that Quantstamp’s acceptance of the token is key to its current, and perhaps future value, but public statements as to the relationship between the company and its tokens are limited. In a review of Quantstamp’s public Twitter and Medium messages, as well as its ICO terms and conditions, the company doesn’t seem to have ever explicitly stated that it would accept only QSP tokens for audits. However, until the public grilling Friday, the company hadn’t indicated that it would accept U.S. dollars and ETH (though its white paper carves out room for exceptions). “No person is bound to enter into any contract or binding legal commitment in relation to the sale and purchase of the QSP tokens and no cryptocurrency or other form of payment is to be accepted on the basis of this white paper,” it states. According to the company’s published materials, users are meant to trade QSP to pay for, receive and improve verification services within the Quantstamp network. Also at issue, though, is whether token holders accurately understand the state of development as it relates to Quantstamp’s core technology. According to a timeline in the original white paper, Quantstamp isn’t expected to begin using its own protocol to conduct audits until late 2018. However, this schedule suggests it was meant to begin work on its smart contract insurance with partners in June. To date, it remains unclear how much of the company’s technology has been built. And it’s important to note, any tokens that would power such a protocol may not currently exist. QSP, as it stands, is a token that runs on the ethereum protocol. The company has not decided whether it will swap those tokens for new ones when its network is up and running, and the white paper does not address this question. But if so, that was not made clear to many users, who had interpreted the firm’s April 30 announcement of a “live working product” as a sign of progress on Quantstamp’s proprietary technology. Founder Richard Ma, who also describes himself as Quantstamp’s “Chief Caring Officer” on his Medium page, joined the company’s Telegram thread at 23:00 UTC Friday to speak to investors, beginning communications that lasted for nearly an hour and a half. When Ma told the channel to reference the white paper for more information, another user sarcastically asked, “How can we read your whitepaper when you are rewriting it?” in a message that was subsequently deleted. “Any USD or ether proceeds that we receive instead of QSP for manual audits support our overall mission to innovate in order to secure smart contracts,” he said. From the thread, it seemed that Quantstamp was conducting some of its auditing for “little to no cost” in the case of cryptocurrency exchange Binance (which hired the firm to audit listed ERC-20 tokens), some in exchange for QSP tokens and some in exchange for dollars or ether depending on the customer. Ma’s statement that some customers can’t buy QSP points to a possible defense of Quantstamp’s policies: because it never offered tokens to U.S. buyers, it has been unable to accept that method of payment when rendering its services to domestic customers. Apart from Quantstamp’s technology and token economics issues, a third complication plaguing the startup is a handful of recent employee departures. “We restructured the team to help us in the next stage of product development,” said Ma when asked about the matter by concerned users. He named three employees – two engineers and a UX designer – who he said were laid off for performance issues. “It’s a startup company – sometimes we need to fire people if they don’t perform well. But as a startup company – we will also build, and we will hire good people and deliver.” As of Tuesday, the company website listed 29 employees in total. Following Friday’s contentious digital town hall meeting, the price of Quantstamp’s QSP token slid over the weekend as part of a broader rout in the cryptocurrency markets. Late Tuesday afternoon, the token was trading at about $0.10, off from an early-January all-time high above $0.80, according to CoinMarketCap. QSP’s market capitalization now stands at $65 million. Nevertheless, a comment from one particularly disillusioned user, aplitt, seemed to capture the overall tone of public sentiment and loss in investor confidence expressed over the course of the thousands of messages exchanged on the company’s extensive Telegram thread.